Andrea is a mother of 5, and had an entire house full of windows replaced by Pinnacle Exteriors, at her Allentown, Pennsylvania home. After searching for weeks, Andrea decided Pinnacle Exteriors was going to be her last estimate before putting the job off, but Pinnacle's simple financing process was enough to give Andrea the confidence to have her high efficency window replacement home improvement project completed by Pinnacle Exteriors. She was overjoyed with the professionalism of the installers and the hard work they provided her throughout the course of her window installation. 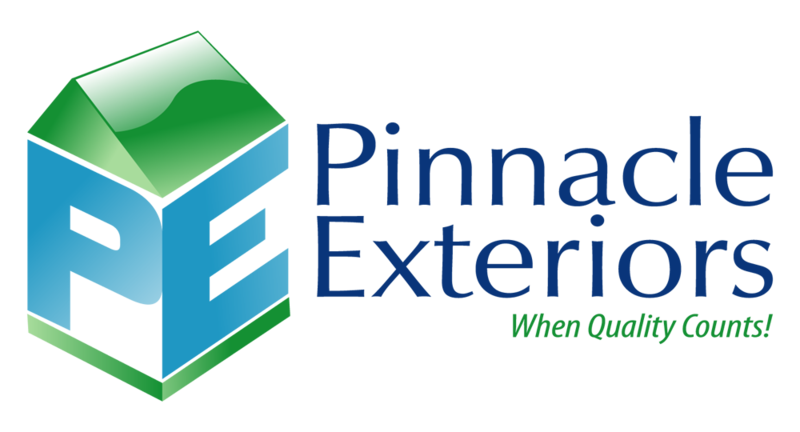 Check out the finished product within the testimonial above, and hear the kind words Andrea had to say about her experience with the entire staff at Pinnacle Exteriors. After hearing about Pinnacle Exteriors from friends, Janet and Larry decided to have their exterior screen door and entry door replaced on their mobile home, in Glencrest Mobile Home Park, in Slatington, Pennsyvlania. They were happy to have a new door, and as you will see in the testimonial, they had a great experience with everybody involved throughout the process on the end of Pinnacle Exteriors. It was done through internet research, due to the other consumers ratings and recommendations. We had all of the windows replaced, we had a sliding door replaced; that was a very easy process. That happened very quickly, along with all of our siding, gutters, downspouts, and trim. It was a good experience. I think the service, it was acceptable. The crew overall was satisfactory, their cleanup was done very well and it was done well on a daily basis. The communication was good, there was a period of time where James was going to be my main contact person and for whatever reason, maybe that was a personal issue, there was a period of time when he was not available to be reached, but the gentleman who was filling in for him did a good job as well. I like the work that was done because they didn't seem to, the gentleman who were here granted there was only two of them, they took their time, they were both hard workers. We were overall satisfied with everything that they had done. It was actually one of my apartments, I own the apartment. Like I said, you replaced casement windows because they were not good and were not sealing and wouldn't keep the apartment warm during the Winter. And I went online, googled "window replacement", because these windows that were in there were casement windows that were not sealing properly and it was getting close to Winter and they were going to freeze. There were three different places I was gonna try. I tried one and he was okay, and then Pinnacle came in and he was very professional, showed me the quality of the windows, and I just wanted a really good window in my apartment. He brought a sample with him, and showed me the quality that the windows were going to be, which was very good. Then he gave me the estimate, and we went form there. I thought the service was really goood, the windows are beautiful... the quality is fantastic, and as far as putting them in he had em in and out in a day and a half. It took him almost a full day, and then he had to come back the next day because he needed some kind of flashing to finish up the job. Everything was cleaned up all good. Communication was good. One time the gentleman who was handling it was out of town, but that happens, so as soon as he got back in town he contacted me, and somebody always got back to me with an answer somewhere. It was quality work from beginning to end, like I said everything was done, cleaned up, and the windows are absolutely beautiful; you guys just did a heck of a good job. Just very pleased, like I said, with the quality of the windows. Paul's Easton, Pennsylvania business, Identitees was in need of a major exterior facelift, and after an installation date with Pinnacle Exteriors, Paul was happy to have customers arrive at his property. He is now confident in telling his clients where his business is due to the new siding, windows, and doors replaced by Pinnacle Exteriors, and is going to be sending people our way when asked where to get superior service for their exterior home improvement needs throughout Easton, Eastern Pennsylvania, and New Jersey.